General information brochures - educate your local community! NEW! View/share video "Vaccination - The Hidden Truth" online for US$3.50! A note from Bronwyn Hancock: This note is just to ensure that all credit goes to Dr Viera Scheibner for the enormous amount of time and effort that she put into collecting and studying over 100,000 pages of medical research (before we had the internet! ), that is the source of much of the medical (particularly the older) research referenced in those articles on this site that have been written by me. What I do on this site is try to summarise the knowledge gained from that extensive (and other) research into easy-to-read articles. Step number one is to learn what is in vaccines. Would you allow someone you don't know to inject something you don't know into your, your child's or your pet's body? Adjuvants are chemical substances which are added to vaccines to "boost" immune response, but many of them are known to cause a range of serious side-effects. So will these poisons really be protective? If you're going to allow these injections of poisons, you will need to have some pretty solid scientific evidence that they will do the opposite of what common sense would lead you to expect. Another article about why the theory behind vaccination is flawed. The resistance of theory to reality, which repeatedly shows vaccination to be counterproductive. And should we even be trying to prevent specific diseases? Information on some specific vaccines. A vaccination program now occurring in Australia (in 2003-2004) which blatantly, and on an enormous scale, violates the Nuremberg Code - it is indisputably a mass experiment without your informed consent, and involving an already demonstrated highly problematic vaccine. Newborns from six to eight weeks old in several "developed" countries, including the US, Australia, Canada and, from 4th September 2006, the UK, are now subjected to yet another vaccine that for some is fatal, which is the new pneumococcal vaccine, Prevenar. Polio Vaccination. Perhaps the most repeatedly asked question is: "But what about polio?" We have ALL been repeatedly told that vaccination saved the world from polio, and we have all believed this. So of course no-one would believe that vaccination is ineffective without having researched this subject. Here is the truth: in summary, and in full. Some facts for parents who are worried about these diseases. Smallpox Vaccination. The excuses for vaccines failing and causing the diseases go right to the beginning of the vaccine industry. Vitamin K (given at birth). Is this really safe and necessary? Specific articles on some of the real effects of vaccines. 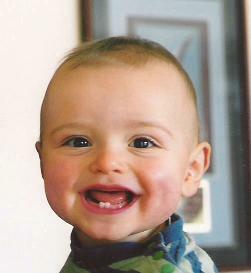 This article, published in the Journal of ACNEM (Australasian College of Nutritional and Environmental Medicine) in Dec 2004 contains the historic results of research into babies’ breathing conducted by Dr Viera Scheibner and the late Leif Karlsson (a biomedical electronics engineer) with Cotwatch breathing monitor, developed by Leif at Dr Scheibner's suggestion in 1985/86. It was these results that first alerted Dr Scheibner to the toxic and sometimes lethal nature of vaccines, and provoked her to begin her in-depth research of the whole subject of vaccination. Many infants who suffer from so-called 'shaken baby syndrome' may be victims of undiagnosed vaccine damage. The result can be incarceration of a parent effectively for doing no more than submitting to vaccinating their child. There is no existing evidence that shaking a baby can even cause these injuries. Examples: Alan Yurko is incarcerated in Florida, and Alejandro Mendez Vargas, who in his state (Pennsylvania) could be facing the death penalty. Visit their sites to learn more and support them. So many stories have been recounted by parents about the effects, often very immediate, on their previously healthy normal children of vaccines that presenting just a few here might not do justice to showing the numbers. I think it is just as effective for us to point to the summarised stories recorded on VAERS, at http://vaers.hhs.gov/data/data/ Note how the VAERS files are greatly increasing in size each year - so don't let anyone tell you that they have made the vaccines safer in more recent years. Sandy Mintz informs us that: "Former FDA commissioner David Kessler has said that it is thought 1% of serious drug reactions are reported to the FDA. A vaccine manufacturer testified that in their experience, a passive system (which is what VAERS is) results in around 2%. ...Parents are being told by their doctors that even deaths within hours are not related, and are being discouraged from filing reports." Further to that, there are the longer term effects, such as the delayed, or gradual development of, auto-immune diseases, or cancer (e.g. mesothelioma, multiple myeloma or other cancers caused by the SV40 monkey virus that we know is still contaminating polio vaccines.) The above figures, even the greater number of reactions that go unreported to which David Kessler was referring, would most likely not take these into account. My mother died of multiple myeloma which may well have been caused by a polio vaccine that she had when she was younger, but no doctor even thought of investigating that. Even if they did think of it, what would motivate them to suggest the possibility or investigate it? To report an adverse event after vaccination in Australia, click here, where you need to go to section 1.5.2, which has all the information you need and links to forms that need to be filled in. You no longer have to be a medical doctor to report adverse events after vaccination, so we strongly encourage you to report adverse events to try to prevent the government using a lack of reports as an excuse to falsely claim that adverse events are rare. Is vaccination really what nature/God intended? Your fully defendable right to refuse vaccines and choose your health care. Your freedom of choice in health care is now being directly violated! Act NOW! Another wholistic doctor has just been deregistered in September '04! This article is not specifically related to vaccination but to the freedom of doctors to practice alternative health care, and hence your freedom to obtain it. Travellers are usually incorrectly informed that they need vaccines for overseas travel. There are only a few countries where there is a theoretical requirement for vaccination certificates, and even then you can get around this. vaccination, in response to a public invitation to make submissions. Are you aware of the damage done by vaccines but are still pressured by a fear of the unknown? Learn about and observe for yourself how much healthier these poison-free children are. If you are reading this in time, you too can experience the joy of having "organically grown" children. This interesting chronology, compiled by Val Valerian, shows how and why the world's population has come to be inflicted with increasing numbers of vaccines even though they have never worked and have only been a health disaster. Only limited references are included, but many can be found on the internet (and elsewhere). Further relevant note: In a recent Irish case (Best v Wellcome Foundation) the judge ruled that it was a bad batch of the whooping cough vaccine that caused the victim to develop permanent brain damage. Mrs Best located and presented to court the company's internal memo stating that one particular batch of the three in one vaccine given to her son was a particularly reactogenic batch with a directive not to send all of it to the same area but disperse it so that there is no clustering of deaths and other serious side effects. Similarly, after four infants died of SIDS in Tennessee in 1979 within 24 hours of the administration of Wyeth’s DPT (diphtheria, pertussis, tetanus) vaccine, Wyeth adopted a policy of sending only small batches to widely dispersed geographical areas, so if a batch caused serious adverse reactions, their statistical impact would be reduced. Some articles which summarise the effect of our "health" system on the community. A look at the subject of vaccination from the perspective of basic reasoning.